I have an American friend who teaches modern Japanese history at an American university. Maybe ten years ago, he asked me if I had any means to identify a Japanese man named Mr. Moriya Koyu. According to my friend, Moriya-san appeared to be a Japanese army officer who once studied in the United States. My friend's great uncle was a professor at MIT. The professor's descendants keep a thank you letter and gift from Moriya for his generous teaching at MIT. The decendants wanted to know more about the sender Moriya. My friend, a Japan specialist, was seaching for the man's identity. He asked for my assistance, but at that time I was helpless. But that was a decade ago. Last year, when my friend visited Tokyo, he asked me the same question again. Returning home from my meeting with him, I opened JACAR's homepage on my computer, typed Moriya's name in a keyword search and, said to myself, "there is no harm in trying." No sooner then I finished clicking, to my great surprise and joy, I got clues to as many as four documents related to Mr. Moriya. I immediately reported my findings to my friend, who was excited and said he would circulate the news among his relatives. 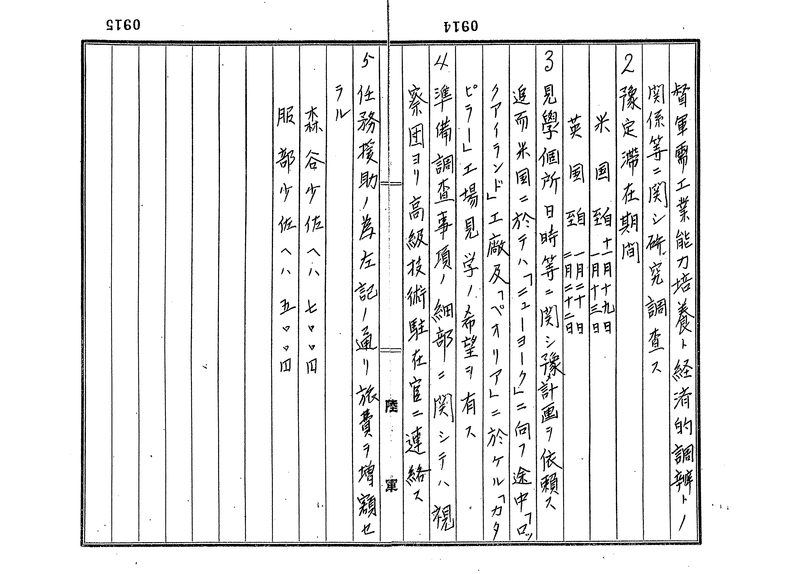 Documents including official letters and telegraphs between diplomatic missions overseas and the Ministry of Foreign Affairs as well as documents related to document management in Meiji and Taisho eras are classified into small sections by type. The second half of a document batch released on August 22 that belongs to Series 7, Category 1. Documents relate to the inspection and copyright of books, newspapers, and magazines; there are also documents relating to precedents for diplomatic protocol. 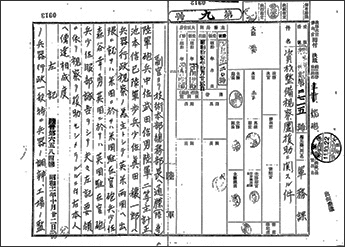 Documents relate to the Showa era Ministry of Foreign Affairs' publication, purchase, donation, and distribution of books as well as newspapers and magazines. "Tsushin Zenran" (Collected Diplomatic Correspondence (Late Tokugawa Period)) is the first compilation of collected diplomatic materials from the Foreign Affairs Department of the Edo Shogunate. Although started in 1865, it contains diplomatic documents of Edo Shogunate from 1859 until 1860. "Gikai Chosho" (Diet Record of Investigation) is a compilation of documents by each department of the Ministry of Foreign Affairs. The documents describe the course of dealing with important affairs and problems of pending matters, for reference or explanation to the Imperial Diet. The Records complement the Diet records during the period from 1921 to 1936. "Zoku Tsushin Zenran" (Collected Diplomatic Correspondence (Late Tokugawa Period) 2nd Series) is the collection of Tokugawa Shogunate diplomatic correspondence from 1861 to 1868. 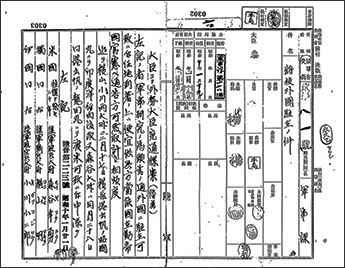 The collation of these files by the Meiji Government began in 1871 and took a decade to reach completion. "Gaiko Iho Furoku Geppo" (issued from August 1892 to December 1893), "Gaimu-sho Geppo" (issued from January 1894 to September 1921), and "Gaimu-sho Ho" (issued from October 1921 to 1964) are the collections of regular publications by the Ministry of Foreign Affairs. The collections contain treaties, regulations, personnel records, and other matters. 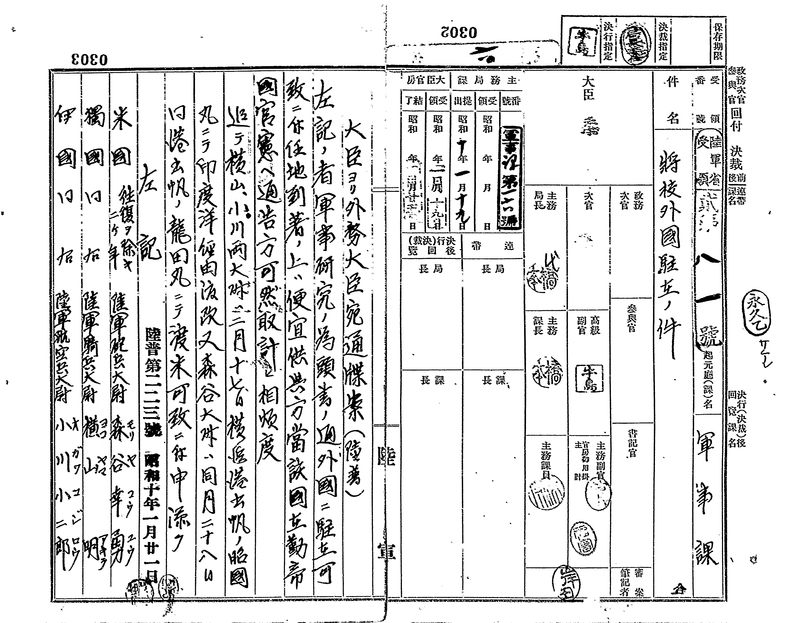 "Joyaku-shu" includes "Kyu Joyaku Isan," a collection of treaties that were voided on September, 1928. There is also the "Joyaku Isan" as well as the "Dai-toa Joyaku–shu," which was compiled during the Pacific War, and other valid Foreign Ministry approved treaties. "Joyaku-sho" is a collection of photographed, original treaties concluded between Japan and other countries from the end of the Edo period until the finish of WWⅡ. The European Association of Japanese Resource Specialists　(EAJRS) is a society of resource experts affiliated with research institutes as well as universities and public libraries. Organizations providing database resources on Japan and other materials also participate in this association. While members mainly reside in Europe, some participants are from North America and elsewhere. In general a conference is held every September, at which time participants present and actively exchange information. For several years JACAR staff members have exhibited at the conference to get the word out about our services. This past year we began increasing our activities by holding a workshop and exhibiting a booth at the conference. The gathering was held for four days from the 18th to the 21st of September at Bibliothèque universitaire des langues et civilizations (BULAC) in Paris and attended by 95 participants. JACAR's EAJRS workshop was scheduled on the 19th of September between 1:30pm to 4:30pm. At this time, four companies and two public organizations (including JACAR) simultaneously held workshops in a number of separate rooms to which participants were able to enter freely. Many document users and reference librarians took part in our workshop, so we reviewed JACAR's document contents and illustrated how to search the database. The participants displayed much interest in a new search function for documents including photographs, maps, and illustrations as well as foreign languages. The new function works in collaboration with University of the Ryukyus, which provides links to "Miyara Dunchi Bunko 宮良殿内文庫"). This collaboration between a university and JACAR was of particular interest in a session focusing on Okinawan related themes. A representative of the university spoke during the session on Okinawa and participated in our workshop discussion. A suggestion came out that JACAR's policy and method of preparing metadata ought to be posted on the website along with other opinions. Our workshop was quite successful. From September 26th to 28th the National Archives of the Republic of Indonesia (ANRI) hosted the Executive Board Meeting and International Seminar of the 19th Southeast Asia Regional Branch of the International Council on Archives (SARBICA). 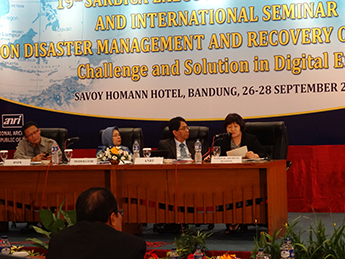 This gathering in Bandung, Indonesia, was attended by representatives from archives of ten member countries as well as observers from China and Japan. 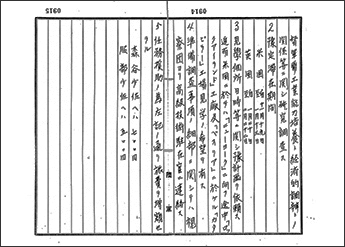 A Japanese participant was sent from the National Archives of Japan (NAJ) and another represented the Japan Center for Asian Historical Records (JACAR). Approximately 200 people attended the June 27th international seminar subtitled "Disaster Management of Archives: Challenges and Solutions in Digital Era." The meeting was divided into three specialist led panels titled as follows: "Disaster Management Policy on Archives"; "Disaster Management on Archives: Challenge and Opportunity"; and "Disaster Management on Archives: Sharing Experiences." A JACAR representative spoke in the first panel and delivered a presentation titled "Japan Center for Asian Historical Records: Digital Archives and Disaster Management." The representative introduced activities of JACAR as well as some documents from the database: reports from natural disasters like the Great Kanto Earthquake, records of rescue and relief efforts, and media cover overseas. The presentation attracted a large, engaged audience and some were eager to know how to use the JACAR database holdings involving Southeast Asia. The Japanese participant from NAJ delivered a presentation in the third panel titled "Reconstruction after the Great East Japan Earthquake, and the Restoration Project for Damaged Official Documents." Note: SARBICA is the first regional branch of the International Council of Archives. It was established at an inaugural Conference held in Kuala Lumpur, Malaysia in July, 1968. There are ten members countries represented in SARBICA, which include Brunei Darussalam, Cambodia, Indonesia, Laos, Malaysia, Myanmar, Philippines, Singapore, Thailand, and Vietnam. It holds the Executive Board Meeting once every year. Held exhibition and workshop at the 24th European Association of Japanese Resource Specialists (EAJRS) Conference in Paris. Had a discussion with the British Library in London. Presented at the 19th Southeast Asia Regional Branch of the International Council on Archives (SARBICA) Executive Board Meeting and International Seminar in Bandung. Presented at the 12th East Asian Regional Branch of the International Council on Archives (EASTICA) board of directors and Seminar in Chengdu. JACAR Director-General Kenichiro Hirano performed keynote speech "From Japan to Asia, to The world community; based on JACAR's experience" at the National Taiwan University Language 4th annual conference of Japanese Studies in Taipei. Discussions were also held about researching archival documents with members of the Archive of the Institute of Modern History, Academia Sinca, Taiwan Historica, and National Taiwan University Library. Exhibited at Japan Association of Private University Libraries General Meeting and Study Meeting (Chukyo University Nagoya Campus). Held a seminar at Library Staff Training Sseminar of Tokushima Prefecture (Tokushima Prefectual Library). Presented at 41st Libraries General Meeting & Annual Conference of Kochi Prefecture (Kochi Prefecture Library Ike Campus). Held a seminar at NIHON ASPECT CORE INC (Tokyo). Presented at Association of Museums in Nagasaki Prefecture General Meeting (Nagasaki Prefectural Art Museum). Exhibited at 15th Library Fair & Forum (Pacifico Yokohama). 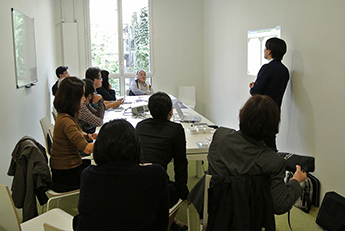 Held a seminar at Library Staff Training Seminar 2013 (Hyogo Prefectural Library). Presented at Archives Representative Conference of Shiga Prefecture (Shiga Prefectural Office). Presented at Public Libraries Council of Shiga Prefecture 3rd board of directors (Shiga Prefectural Library). Presented at Ibaraki Museum Society Seminar Ibaraki Prefecture (Koga City, Hotel Sansui）. Welcome to a world of mystery and legend! This exhibition presents age-old Japanese supernatural monster stories that have been passed down across generations. Published in Edo period illustrated books, tales of evil monsters can be seen to have frightened people until the ghouls were challenged by heroes. "The National Archives of Japan and the Ibaraki Prefectural Museum of History: The History of Japan, the Advance of Ibaraki, Shown in the Documents"
This exhibition is being held at the Ibaraki Prefectural Museum of History with records also from the National Archives of Japan. Since 2012 the National Archives of Japan has held joint exhibitions in other archives to show its holdings to a larger number of individuals. This traveling exhibition explores the history of Japan as connected to that of Ibaraki Prefecture in the last years of the Edo, Meiji, Taisho and Showa eras. "Japan and Spain, History of Exchange Based on Historical Diplomatic Documents"
In commemoration of 400 years since the dispatch of the Keicho mission, Japan and Spain are holding various exchange programs in 2013 and 2014. The Special Exhibition "Japan and Spain, History of Exchange Based on Historical Diplomatic Documents" sponsored by the Diplomatic Archives and the Embassy of Spain depicts 400 years of exchange between Japan and Spain. Thank you for reading JACAR's 12th newsletter, and we hope you enjoyed the slightly updated format. The next newsletter will be sent out in March, 2014. We aim to make the newsletter an even more helpful reference in the future and would deeply appreciate any comments or feedback on * THIS FORM *. Leaflets about JACAR are available in English, Japanese, and Chinese, so if you would like copies, please contact us.